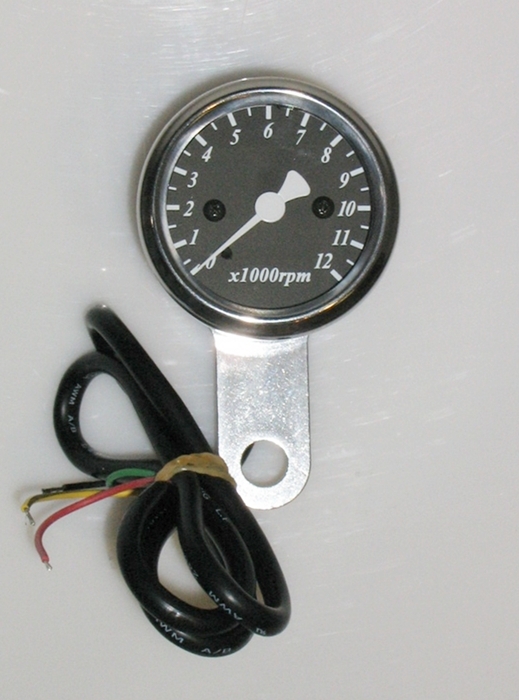 LED mini tachometer. Measures 40mm (1 7/8") across. 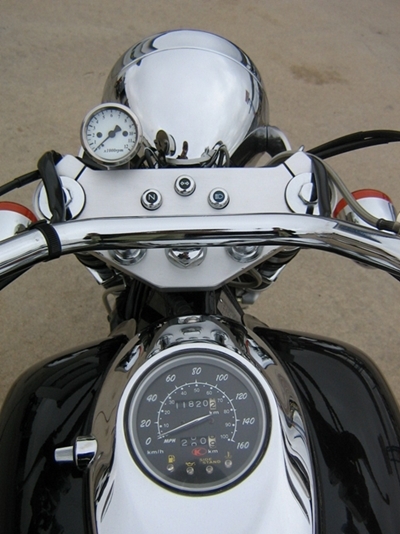 Chromed steel housing. 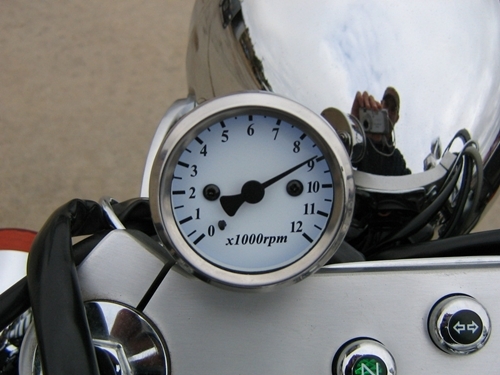 12,000 rpm limit for 2 cylinder 4 stroke. Available in a white face with a blue backlight or black face with a white backlight. 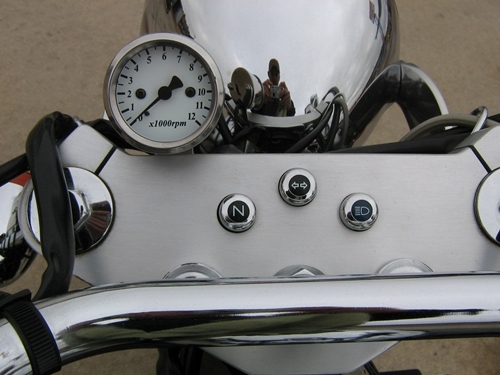 Mounts perfectly to the bottom of the Venox triple clamp or could be mounted elsewhere (like the handlebar with a 1" clamp). Includes wiring and instructions. You will have to splice into the stock Venox wiring. We include recommended wiring instructions. Note from the manufacturer: It is normal for humidity to form in your lense when humid. Heat from the bulb genereates this foggin up. This is completely normal and is not considered as a manufacturers defect, therefore it is excluded from warranty.